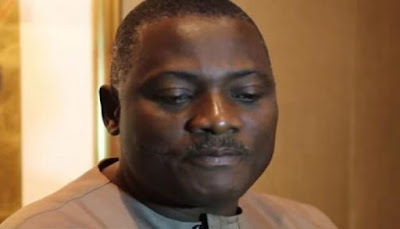 Innocent Chukwuma, the Chairman of Innoson Motors Limited, has been declared “wanted” by Justice Mojisola Dada of the special offences court in Lagos. This is following the businessman’s continued refusal to appear before the court upon summons, as the trial for his alleged crime continues. The automobile maker was slated to be in court today but failed to make it, thereby marking the fifth consecutive time he has flaunted court orders since trial for the case instituted by the Economic and Financial Crimes Commission commenced. Justice Dada declared the business wanted following requests by the EFCC Counsel, Anselm Ozioko. She also rejected the defense counsel’s request for his application to be heard, stating that no application will be heard until Innoson is physically present in court. The prosecuting counsel had questioned why Chukwuma’s defense counsel was “insisting on taking his application without ensuring the defendant is physically present in court.” He further questioned whether Innocent Chukwuma regarded himself as “too big because he has money”, which could explain why he had possibly refused to appear in court since the trial began. just before Justice Dada declared Chukwuma wanted, the prosecuting Counsel had noted that the EFCC may have to consider other options that would ensure the man appears in court during the next adjoined date. Recall that Innocent Chukwuma was arrested late last year by the Economic and Financial Crimes Commission, an incident many believed was in connection to Innoson Motor’s ongoing case with GTBank. GTBank issued a statement denying their involvement in the development. The EFCC is currently prosecuting Innocent Chukwuma and his company over fraud, a protracted litigation many are curious to see how it ends.